Leak-Proof designed, screw-on twist -open lid. Double-wall copper vacuum insulated stainless steel construction. 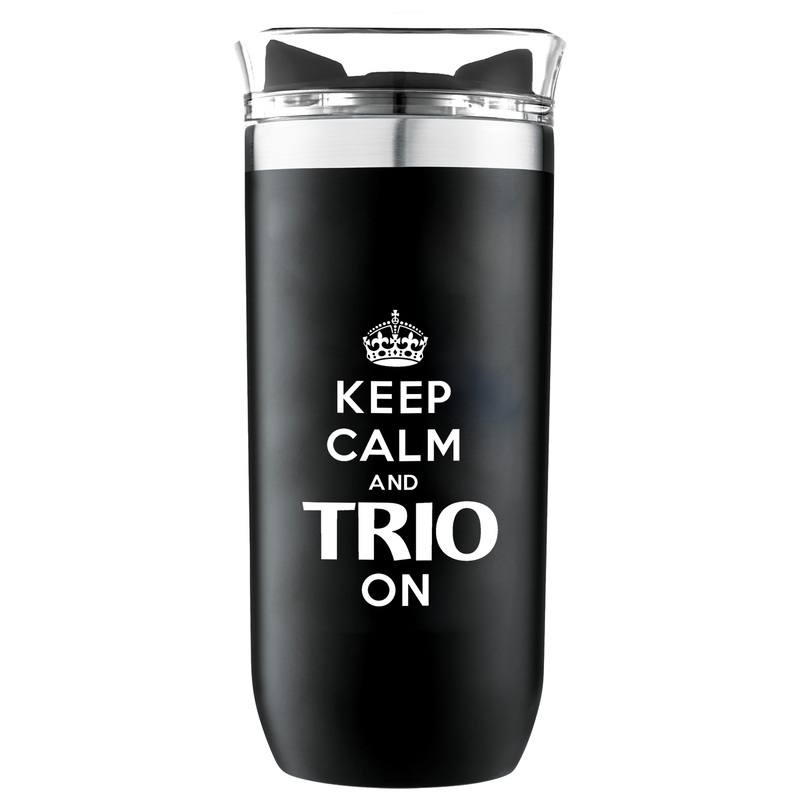 Keeps drinks hot for 8 hours and cold for 24 hours. 16oz. Proforma can decorate with any stock or custom TRIO logo. Please contact Kelvin Thomas for your free virtual.